–Storage containers are a great way to get a little bit of extra room for your furniture, clothing or other items. 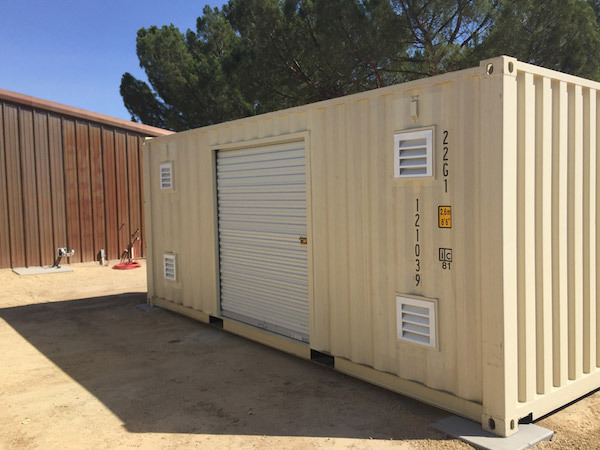 Monterey storage containers company Container Stop offers a wide variety of customized storage containers and pride themselves on their amazing customer services throughout the delivery and purchasing process. However, before you just plop that storage container anywhere on your property, you should make a few considerations. One big consideration to make is if you should put the container on the ground or raised up on a slab or a foundation of some kind. Generally, it is a good idea to keep it suspended off the ground. So why is it recommended that your storage container be raised off the ground a little bit. Well, this blog post will go over a few of the many reasons why. The last thing you want is to have mud or water seeping into your storage container and ruining your furniture or other belongings that are currently being stored. If you lay your container directly on the ground, there is often limited protection from the elements if it rains outside. However, if your container is suspended or raised off the ground, the mud or pooling/flooding water likely won’t be able to get into the container as easily. While mud and water can damage your belongings, they are not the only potential harmful thing that can reach your contents. Rust can certainly affect some of the items, and mold and mildew can begin to accumulate if the container sits on the ground. Your contents can only get as clean and protected as the unit itself, so you want to keep it in pristine condition. If damp items or structures sit on the ground for too long without movement, it can be a breeding ground for mold and mildew. To prevent that from happening, keeping your storage container propped up can help sufficient air flow to pass, which will keep the foundation of the container in the best condition possible. Also, having a gap under the container will also help the storage container to be more mobile if you ever need to move it. If it is straight on the ground, it could be tough to get under it to move it. Interested in Monterey storage containers? If so, be sure to reach out of Container Shop, one of the best locally owned and operated storage companies in the state. Check out their website or call them at 800-674-9343. –While we would all love a home or apartment with all the in-house storage you need, that is not always easy to find. And if you are able to find it, there is a chance it will cost an arm and a leg. However, there is a way to get some extra storage without having to find a whole new home. Purchasing and using a storage container is a great way to get some extra storage for your belongings, at a reasonable price. Container Stop has been providing storage containers in Hollister and the rest of California for years, and are one of the best locally owned and operated storage companies in the state. They offer a wide range of different sizes (even customized) and deliver right to your property. Also, their world class support team will ensure your questions are answered all throughout the process. But sometimes, these Hollister storage containers can be a bit visually unappealing. They are built more for function than for style. However, that doesn’t mean they can’t look great. With that in mind, here are some ideas for designing and customizing the exterior of your storage container. Any way you slice it, a large steel or metal storage container on your property can always be a little bit of an eye sore, especially when compared to a gorgeous home. One great way to add a little personality to your storage container is to give it a little bit of color to make it “fit in” a little bit more. Of course, you want to ensure you are using a suitable type of paint that will work on metal exteriors. In order to help the storage container feel like it “belongs” on your property, you should look to integrate it into your lot. This can be done in a lot of different ways. But one of the best ways to help the container fit in is to add some landscaping around/on it. By having plants, trees or shrubs surround the container, you will feel more like it is an extension of your home, and not a random addition to it. This one might not be for the looks of the container, but has more of a practical use. Living in California, there is a lot of sun out there during the day. People should be taking advantage of this sun by adding solar power to their homes, garages and yes, storage containers. This could save people money, while helping the environment at the same time. Need a storage container in Hollister? If so, be sure to reach out to Container Stop and either visit their website or call them at 800-674-9343. –Moving to a new location? Take your storage container Salinas or anywhere with you. Did you sell your container? Container Stop can pick it up and deliver it to the new owner. Buy a container from your neighbor and need help moving it to your property? Call Container Stop! Decided you want to move your container to a different spot? Container Stop can do that, too. Container Stop can relocate a storage container Salinas, and to and from just about anywhere. The company has the equipment and skill to move the storage container Salinas safely and in time to meet your moving schedule. After all, storage containers are their business. Is there a clear approach for pick up and delivery? A storage container in Salinas agricultural yard might have a clearer approach than a container in a residential driveway. Are there any trees that need to be maneuvered around or equipment that needs to be moved away from the approach? Is the road paved? Rainy weather might be a concern for some unpaved roads. What are the dimensions of the new space for the storage container Salinas? What is on each side and behind the new space? Container Stop can fit a container into just about any tight space, but it is still helpful to know as much about where it is going to be unloaded as possible. Do you have to completely empty the container? Gross weight and protecting property from damage during the move are both important considerations. Not removing the contents, even if they may be tightly secured, might make the container weigh too much for legal shipping weight. Any contents that shift during the move are probably going to be damaged, even destroyed, and may create an unsafe situation for the driver and others traveling on the highways. When do you need the container moved? How much notice does Container Stop need to work with your moving schedule? Do you need to be present for pick up and delivery? Container Stop excels in difficult deliveries and difficult placement in hard to reach areas, but the more information you are able to provide ahead of the move, the smoother the move will be. Based in Paso Robles, Container Stop delivers containers any where in California and provides a higher level of personal service than can be found with larger shipping container companies. Contact Container Stop today to schedule your move. –Container Stop is a storage container company in Paso Robles, California offering sales and modification services to suit their customers’ needs. Based on years of experience, Container Stop recommends five considerations to help streamline remodeling and save the owner time and money. Adding these considerations to a modification project will bring the most satisfaction for remodeled storage containers in Monterey. Container Stop ships throughout California and out of state, but offers free delivery for local orders. Using a container as a shop, office, or a combination of uses, means some kind of modification is probably needed. Rural use, for example, might be to store livestock feeds, some of which need temperature control to maintain freshness. Just about any commercial use for storage containers that Monterey businesses use is going to require shelving, light and ventilation. Sufficient air circulation protects items from condensation, mold and other damage. Container Stop can install fans, windows, doors and power outlets and also has units equipped for refrigeration. Ventilation is important even for temporary use over a few weeks or months. Mildew can start forming within 48 hours. The Center for Disease Control and Prevention (CDC), reports that there is sufficient evidence to link indoor exposure to mildew and molds with respiratory symptoms, asthma and pneumonitis. Stacking boxes might work for temporary storage, but not when the stored items need to be frequently accessed. Quick and easy access to inventory and supplies is essential for business and for peace of mind. Whether to use shelves, closets or cabinets can be a personal decision based in the easiest way to access the stored items. No one wants to stumble around in the dark with a flashlight trying to find something. Skylights, windows and doors are great for daylight, but what about after dark? If the container is being used as a shop how are the tools going to get power? The experts that deliver storage containers to Monterey can help plan electrical needs. Turning a storage container into any imaginable space is one of the reasons they are popular. The bare steel surroundings can be remodeled into anything from serviceable storage or a shop to a designer-inspired extra room. Final decorating touches are up to the owner after the container is delivered but Container Stop can build and install the bones. Things to consider include protecting the container from break-in and vandalism, secure shelving and cabinets to prevent injury and damage in case of an earthquake, fire safety and emergency exits. Ways to secure doors and windows include lock boxes, cross bars and inner locks and bars over the windows. External lighting is important. Don’t forget an alarm system! Container Stop is a Paso Robles Storage Container company started by Crocker to fulfill a need for storage containers in Salinas and throughout California. The company offers fairly priced shipping containers as well as modification services to suit whatever needs customers may have. The report, ‘Reasons To Ventilate Storage Containers,” can be read below, and on the Container Stop website. Storage containers are built to be airtight and water tight so their contents can be safely transported across oceans. Once retired to a different use on land, air and water tightness can contribute to mold, rust, poor air quality, disease and property loss. Whether the use for storage container in Salinas is farm equipment, inventory, or personal or business use, it is important that it be properly ventilated. Mold, a fungus which when left untreated can be very expensive to remove and can cause harm when spores are inhaled. Diseases. Poor ventilation has been linked with numerous human diseases such as: pneumonia, dry eyes and nausea and respiratory diseases, the most common of which is asthma. Rust. Poor ventilation can lead to condensation, which can cause steel containers to rust. This rust can also affect any metal pipework that runs throughout the container. 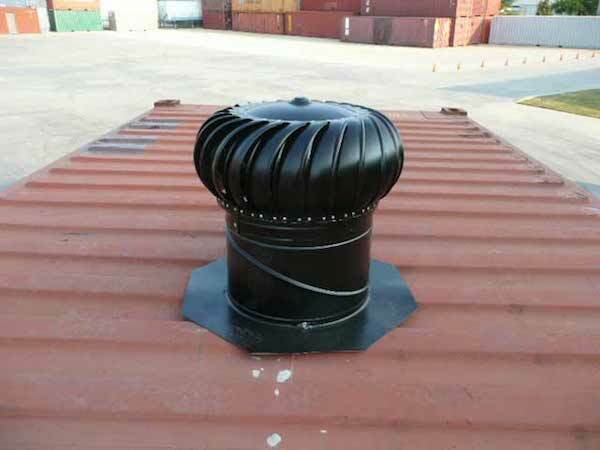 Repairing rusting containers can be a time consuming and costly job. Bad smells. Poor ventilation can lead to musty odors. Because the air has nowhere to go, any smell will linger and reduce air quality. Finding the balance between the right amount of ventilation and too much depends on the use of the container. A refrigerated container would need different air circulation than one storing dry goods. When the container is being remodeled to serve as an office or a shop and occupied by people during work hours, the proper circulation of fresh air is a health and safety requirement. Container Stop provides storage containers in 10’, 20’ and 40’ lengths for purchase or lease. The company ships all throughout California, and will even ship out of state, but offers free delivery for local orders. For all Salinas storage container needs, think Container Stop. The possibilities are endless. Hollister storage container providers at Container Stop believe that sustainability is important. Upcycled storage containers will be making a huge impact on the way the future will be living. They are efficient, durable, sustainable, and lend themselves to smart modular designs. Upcycled shipping containers are even being made into floating houses for students in Copenhagen, Denmark. It is an ingenious use of space and to maximize the lifespan of the storage containers. From tiny houses, to fallout shelters, pools, backyard storage, or spaces for creativity, the sky’s the limit! Whatever comes to the imagination, just think how much fun you can have customizing your own storage container, in an affordable and easy way. Not only are people recycling shipping containers into homes and other things, people are recycling and repurposing large portions of the interiors as well, which also helps reduce the need for manufacturing new raw materials. If we can all reduce our carbon footprints by upcycling, and maximizing the things we already have around us, then we will be able to clean up some of the extra things cluttering our world. There is an increased importance in companies making sustainable and reusable products. Green living is trending, and some of the storage containers being repurposed are absolutely stunning. The website, www.Trendhunter.com features a list of 35 ideas to get you started on what sort of plans you would like to make when creating your own custom shipping container. There’s even a recycled city in Mexico made of storage containers, Mexican Recycled city, which has everything a normal city has including, shops, restaurants, galleries, working and living spaces. Container Stop, the company providing storage containers to Hollister and all of California, can provide your space with new or used modular and modern shipping containers! The strength, stability, and security that you get from a storage container makes it so easy to use them in a vast array of ways. You can stack them up to build yourself a multi-leveled home, a spacious and beautiful farmyard barn, you can bury them in the ground to make a post-apocalyptic bunker, or insulate the walls and have a sound proof music studio. Keeping any style of upcycled storage container on virtually any property is only going to enhance the value. The compact size, ease of transportation and installation make for the perfect shelter of the future. Hollister Container Stop is here for you. Easy to transport, easy to customize, and fun to design, having your storage container just the way you like it or need it is easier than ever, now you can buy or rent locally! California’s own Hollister storage container provider, Container Stop makes it a local and easy decision. See what they are all about at our location in Paso Robles, California.